If you don't have a black maxi dress in your closet, you need one! This is one of my go-to outfits for spring and summer. It's so easy to throw on, add some statement earrings for a pop of color, and done! I honestly think one of the reasons I love a maxi so much is that it looks cute and casual, but feels like pajamas - does it get any better than that?? I also have some fun colorful and printed maxis I'll be sharing throughout the spring and summer seasons, but having a classic black one is essential. 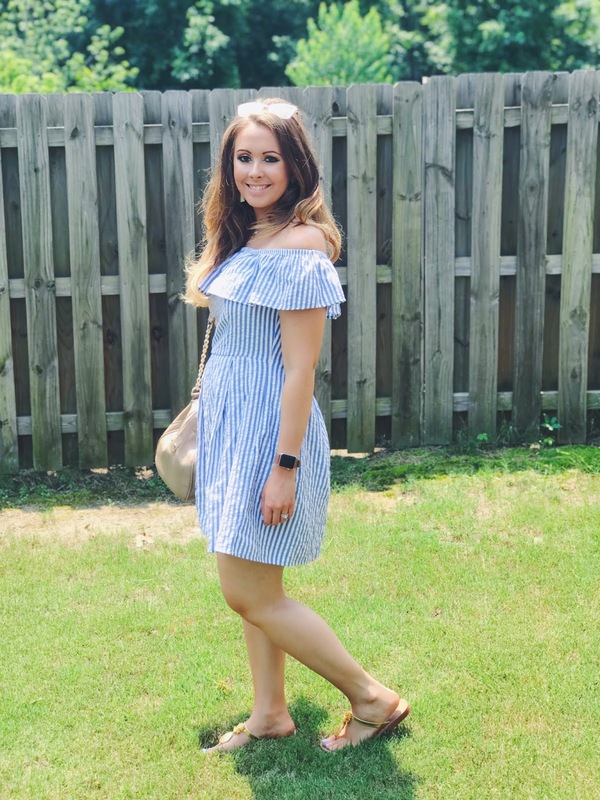 I love that this one has side slits, because you can also knot up the front for a different look (perfect for a beach trip if you want to walk along the beach and not get your dress wet). I'm so excited the warm weather is here, but ready for the pollen to go. Anyone else? Stay tuned for some lighter and brighter spring inspo coming up - including Easter and spring wedding looks!